A Special Planning Program (SPP) defines a vision for the revitalization of economic and social activities in a given area. Input from residents, merchants and community organizations is sought to develop a lasting plan. The conservation plan is based on a three-step approach. It describes and helps readers become more familiar with the heritage site, brings its significance to light, and defines policy directions. It is a reference document to guide decisions concerning all interventions in this historic area. Its implementation is harmonized with the contents of the Special Planning Program (SPP) for Pointe-Claire Village, adopted in 2016. It is meant first and foremost for property owners in this valued area and for municipal managers. It contains all of the guidelines to ensure that actions taken in the sector are compatible with the heritage values that need to be protected. The first stage, which began in the spring of 2013, involved assessing the Village’s strengths, weaknesses, limits and opportunities, and identifying issues to be considered in terms of urban planning. The diagnosis provides a qualitative and quantitative picture of Village quality of life through analysis of sociodemographic aspects, life environment and economic activity. It is based on existing data, on-site observation and surveys. The process also included the participation of citizens, business owners and community organizations and involved both municipal departments and the outside expertise of Convercité, an agency specializing in commercial revitalization and participative management. A public meeting was held in April 2014 to present the report summarizing the Village Diagnosis. The information in the Diagnosis is the basis for the development of a Special Planning Program (SPP). A specialized firm, L’Atelier Urbain, is currently working in partnership with the Planning Department to develop specific by-laws for the Village that will be consistent with the Diagnosis. 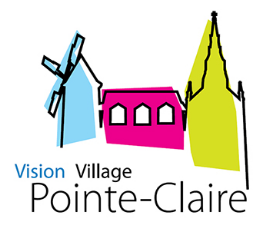 Pointe-Claire citizens, business people and community organizations participated in a public consultation meeting on February 17, 2016 at 7 p.m. at John-Rennie High School. A specialized firm was authorized to complete a diagnosis of the current parking situation in order to analyze the rate of occupation, the number of spaces, demand, the quality of the facilities, signage, and the management framework. These data helped to identify issues that need to be addressed. A meeting with residents, a participative workshop, and an online poll allowed for more data to be collected and a better understanding of uses and needs. The goal of the Village Code is to centralize, simplify, and illustrate various planning by-laws for this special area of the City in terms of zoning, subdivision, site planning, and architectural integration. The Village Code is based on the principles of the Form-based Code approach, which relies on urban form to create a pleasant, dynamic, human-scale environment that respects our heritage. The final version of the Village Code adopted by City Council on April 3, 2018 is available for consultation. You can also download the file by clicking HERE. The project to enhance the Village began in the spring of 2016 with various community consultations: a telephone survey, meetings, discussion groups and two exchange forums. A territorial analysis was also conducted based on observations, land surveys, and analyses of by-laws and statistics. The proposed directions will be used as a reference for implementing development objectives. The creation of a friendly and vibrant living environment, which is accessible and safe, the development of a visual identity unique to the area and the consolidation of the Village as a local commercial destination are all elements that were discussed with the community during the consultation meetings, and that are now part of the Special Planning Program for Valois Village, which was adopted on May 2, 2017 by the municipal Council. The SPP for the City Centre, in force since February 2, 2018, offers a vision for the development of Pointe-Claire’s central territory for years to come. It will allow the City to guide projects that are likely to emerge in the short term and ensure that vision is achieved. The City Centre is bounded to the North by Labrosse Avenue, to the East by Selkirk Avenue to the South by Sedgefield Avenue and to the West by Stillview Avenue. See the full version of the Special Planning Program for Pointe-Claire City Centre.